Fresh-faced and free, people are excited and jittery and alive. Staff are trying extra hard with customers, lifties pull tees with aerobic energy, ski instructors don’t have goggle tans yet. The lift line is full of fancy new outfits in various shades of bright, moving forward in unison, they shuffle eagerly. You would be hard pressed to find the same optimism anywhere else in the country. For us, the long weekend represents the first meaningful opportunity to get out of Sydney. We put whatever it was we were doing on hold and hit the M5 for the southward slog. We push until Cooma and stop at The Lott – it does good coffee, and sources local produce – including, we are told, Cooma truffles – for its menu. It has also recently expanded into the adjoining building, making it probably the most exciting stop on the Sydney-Snowy highway. We stop for petty in Jindabyne, it’s busy. There’s a new Rip Curl store but otherwise not much has changed and that’s nice. We pull up at the ski tube and get our Freedom Pass (Now Epic). It takes about 5 minutes and is remarkably easy. 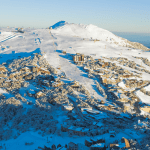 Ten points to perisher for the courage to redefine the cost of skiing. The ski tube however is a disaster and always has been. It is inconvenient, expensive, and slower than if you were to just drive. It’s a bizarre attempt at infrastructure and if you are staying on the hill, one that makes you feel like you have no choice but to pay up. But with the Freedom Pass ski tube is included for 50 bucks, making it suddenly reasonable. Another tick for Perisher. We arrive at Perisher and drop off our things at Kahane ski lodge – part of the Southern Alps Ski club network. A $40 annual club membership got us a room there for about $75 a night meals included. 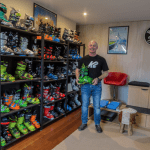 Whoever said skiing in Australia was too expensive hasn’t done their research. We go for a ski the same afternoon. It’s packed. With only front valley, the quad chair to mid-station and happy valley open the options are as limited as the lines are long. We go to the Sundeck for a beer, the sun’s out. The next day we take the quad again to mid-station, but from there put on some skins and tour up to the saddle of Olympic, then up the backside of Mt Perisher. The Main Range is white all over. We stop for lunch on one of the gnarled rocks that wears the frozen crust of winter. The quiet is amazing, you don’t get quiet like that in Sydney. 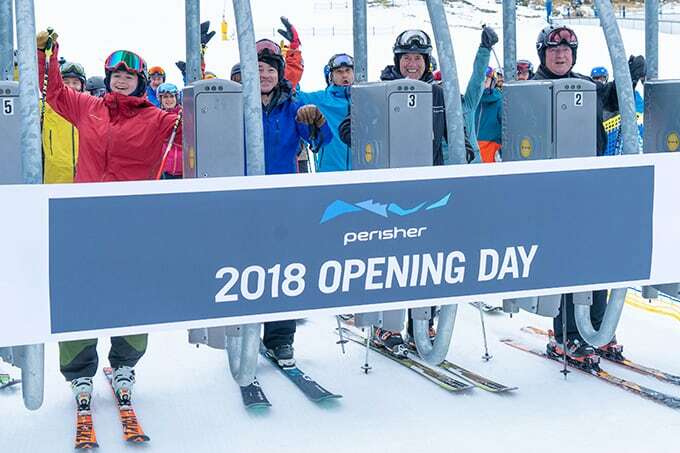 In the afternoon we take a run on the Paralyser – the one behind Mt Perisher – and then skin back up to the top of Mt Perisher. From there, we see the empty double and triple chairs. They will probably be busy in a week. We ski the resort-side of Mt Perisher (Towers) on our return, traversing early to catch the Happy Valley T-bar. The change is instantly noticeable, people are everywhere, shuffling eagerly in their bright colours. One guy is blasting music from his jacket, stuff that is on the radio at the moment. A ski instructor tells us to move forward and shuffle across, a liftie tells us to stand up after loading the T-bar. We feel one step closer to Sydney. We leave for Sydney the next day: a takeaway coffee from Aldo’s makes the tube ride a little less depressing. A stop at Lerida Estate at Lake George for a second one to keep the eyes open helps. From the cellar door you can see the windfarm at the other end of the lake – giant white twirling propellers. The traffic comes to a halt about 90km out from Sydney. It starts to rain. I start to think about what I have to do tomorrow. This would normally be the point where I get that sinking feeling. But right now I’m just not sure if I care. And that’s why I love opening weekend.